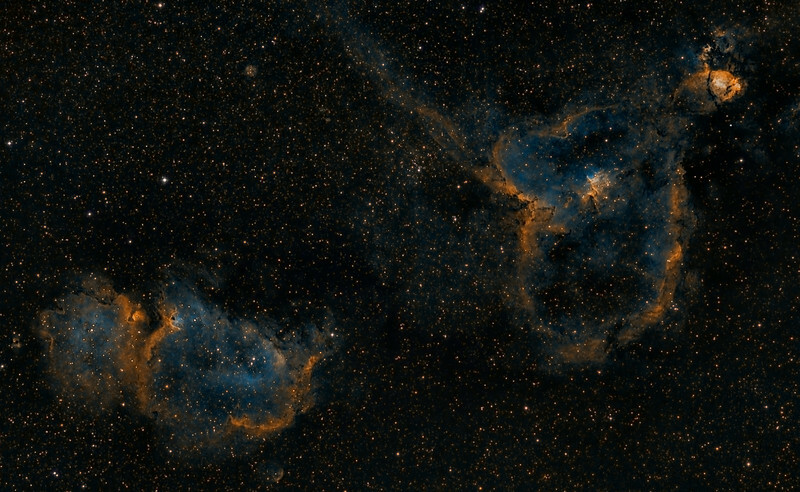 Heart and Soul nebula in narrowband Hubble colors. Taken with 200mm Canon lens @ f2.8 and ML8300 camera. Ha,OIII,SII each 3x30 minutes for total 4.5 hours exposure. Taken by Lynn Hilborn March 31, April 5, 6 2012 at WhistleStop Obs,Grafton,Ontario.